Thanks to one of our readers, Robert, for the heads up about this! Tom Woods did a podcast on the Just War Theory, interviewing author Laurie Calhoun, author of War and Delusion: A Critical Examination (Twenty-first Century Perspectives on War, Peace, and Human Conflict). Indeed, the JWT is used to justify, not limit, war — and it has been that way for centuries. This entry was posted in Just War, Nonfiction Books, Podcast on December 12, 2015 by Cammy. 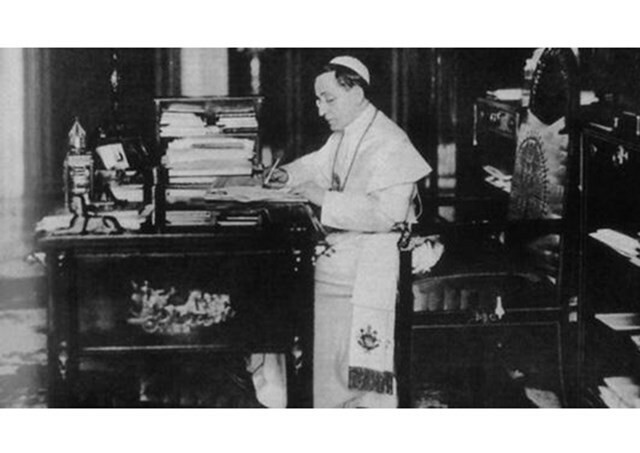 This entry was posted in Militarism and Christianity, Podcast, War and Peace and tagged Pope Benedict XV on August 11, 2015 by Cammy.